Before I begin your tour of my freind’s beautiful home…I wanted to thank my best blog buddy, Victoria, for nominating me the the 2013 Homies over at Apartment Therapy. I’m nominated to the Best Home Design & Inspiration Blog. I’m touched and flattered. 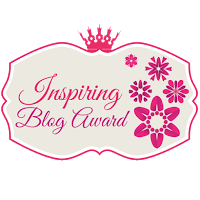 If you have a moment to vote visit HERE…I would love your vote and would reciprocate if you are a fellow blogger. You can vote for as many blog sites as you like, I’d love it if you vote for Victoria’s site [Restoring our 1890 Victorian] too. You might have to sign up to vote, so if you choose not to do that (although they do make it simple), I understand. In any event, I enjoy this hobby and it’s always fun to receive a nod from a talented, fellow blogger. Glenys, a dear friend of mine, recently moved into their new, custom made home. It has taken more time than you might expect for selection of the lot, planning the home’s design with the architect, building the home and finally, moving in. By the way, you can tell by the sky that the day I visited was a Chamber of Commerce day for the area. The blue skies and sunshine were amazing. I was thrilled to be given a tour and had hoped my images would turn out better than they have, I may be able to edit some of the photographs but I don’t have them ready for a post yet. (Note to self, until you actually buy a better camera your photos will never turn out great). One of the things that struck me with this home was the obvious thought and care that went into selecting lighting. Glenys didn’t want a ton of canned lights (who can blame her) and what she ended up with was a home with wall sconces and light sources that are reminiscent of a historic villa in the south of France. The floors are either reclaimed wood or stone, depending on which room you’re in, and some of the walls are stone. The chandelier (above) looks antique but in fact isn’t. Glenys and her designer spent a great deal of time tracking down the right pieces for the home and as a result everything seems as though it was meant for the space and imparts a history and comfort that you don’t often find in “new” homes. Many of the lighting fixtures were custom made for the home. The chandelier above came from a favorite nursery here in Newport Beach, Rogers Gardens. This was used in one of the nursery’s displays during the month of October. Rogers always hosts a fabulous Halloween room with seasonal decor items, as well as pieces such as this. I love it! The size suits the stairwell perfectly. I cannot remember which room this chandelier is in, but by it’s simplicity it is wonderful. All of the beams in the home are authentic old beams with so much character. I love the restoration glass in this lantern, which I believe was one of two in the kitchen. The lantern isn’t old but the glass and rustic frame create the look. I’m going to have to revisit and get back to you on some locations…isn’t this a great lantern? Throughout the house there are wall sconces…they are especially attractive when mounted on a stone wall. It feels like you could be on a hillside in France, doesn’t it? I was going to write something witty about the voting… but as I scrolled down, I was like—I’m sorry? What? Where ARE you? In Spain? In France? Did I miss something? This is your friend’s house? I need to see more of the sunroom. And the garden area. And the house from afar. That’s an unusual design… at least around here. Although, I suppose California has more of a Spanish mission inspired design aesthetic. Okay. Anyway. WHOHOO. I voted for you (AND for myself!) I’m pretty sure this is your year to win it… I can see you coming from behind at the final stretch. I personally plan to hit up Starbucks and offer to buy anyone willing to vote for me a coffee… but not the fancy syrup ones. Victoria, I’m putting all of efforts into getting you to the top of the 2013 Homies my friend. You have 18 votes counting, with your Starbucks pay off you’ll pass whoever that designer at the top is. Wow, did I ever enjoy this tour! The pretty light fixtures are all so unique….I love that about the home! Love all the stone, too. Thanks for the tour! I’ll head over and vote for you. Congrats on your nomination….it’s so, so deserved! Good luck, Sweetie! Congratulations on your nomination! This is an amazing home. I like all the subtle details.. and those walls, and chandeliers! The bedroom is perfect with the simple elegant decor and iron bed frame. Thanks for the tour!! Glenys’s home is just fantastic! I loved all the wonderful chandeliers and sconces. In fact, I loved everything about the house! Even given the scale, it’s not pretentious and that’s hard to pull off. Congratulations on your well deserved blog nomination. You can certainly count on my vote! You recently told me how spectacular Glenys’ new house had turned out. You didn’t exaggerate! She has a eye for detail and scale that rivals no one I can think of. The view is stunning too! I hope I’ll be able to tour her house in the near future. Congratulations on your nomination – you’ve earned it! Hi, Karen – What a beautiful house! Looks like something from Tuscany!! I love that painted wooden chandelier – such scale yet so airy! And the gardens: omg!!! Thank you for the tour. I’d love to see more. Yes, we’d all love to see more photos, Karen!!! I just have a little Nikon Coolpix 14x. It’s great and very easy to use. Lovely details, beautiful gardens and great lighting. It looks so comfortable. I would definitely love to see more of this home. Thanks so much Glenys and Karen for sharing it. Thanks for stopping by for a visit. I’m hopeful to share more of my friend’s home at some point. I loved all the wonderful chandeliers and sconces. The pretty light fixtures are also so unique. I hope I’ll be able to tour that house in the near future. The home is stunning and my friend promises another tour when I can take some additional photos. Thanks for stopping by.